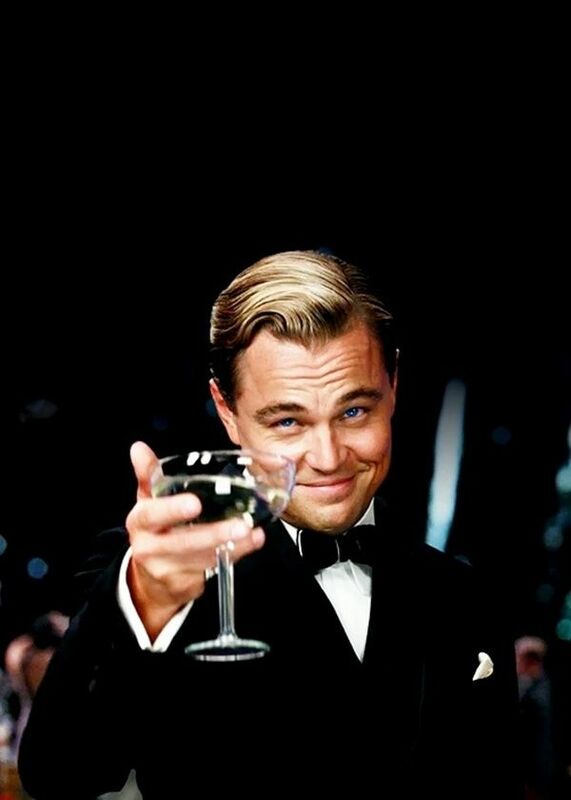 Gatsby is just awesome. Using the theme for a wedding would be too perfect! Isn't it fun? Talk about eye-candy! I've been wanting to do a Gatsby-themed party for a while now too! Haha, by the time I get around to it it will be so out! Haha, I know what you mean! I don't know if I'll ever make time for it, but it's such a fun idea. Gatsby is literally my favorite book of all time so it's here to stay for me! I have always loved learning about the 20s era so when I finally read The Great Gatsby in high school, I fell in love. 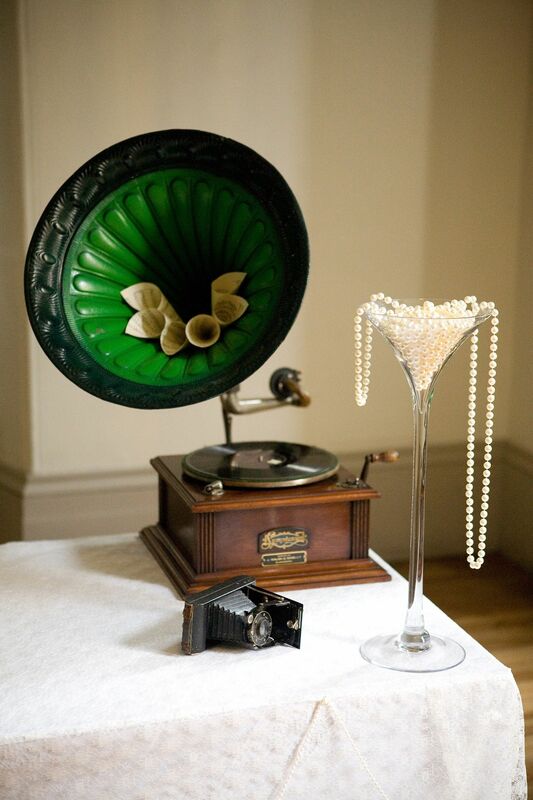 Since the movie just came out, there are a lot of great ideas floating around-- so I think I'm going to give my rehearsal dinner a 20s theme! That sounds beautiful! What a unique way to work it into the celebration even if you have another theme for the day-of. I love it! Loving your Seattle journey, Bailey! Continue to sic 'em! So true. Goes to show we haven't learned our lesson yet and still search after the flashy glitz and glam that supposedly brings fulfillment. And thanks for reading! I can't wait to hear about your European adventures! You're living my dream! I love this! I'm a huge Gatsby fan! Robert Redford, what a classic and now DiCaprio. Hello New Years Eve Party! Just wanted to let you know I nominated you for the most versatile blogger award! Why? Because your designs are BEAUTIFUL and your posts are refreshingly honest and sweet. Always something sweet and positive to find here. Thank you always for sharing and posting! Thank you so much! That just made my morning :D And bathing in glitter is always a good idea, haha! I read Gatsby in the 10th grade and have loved it ever since! 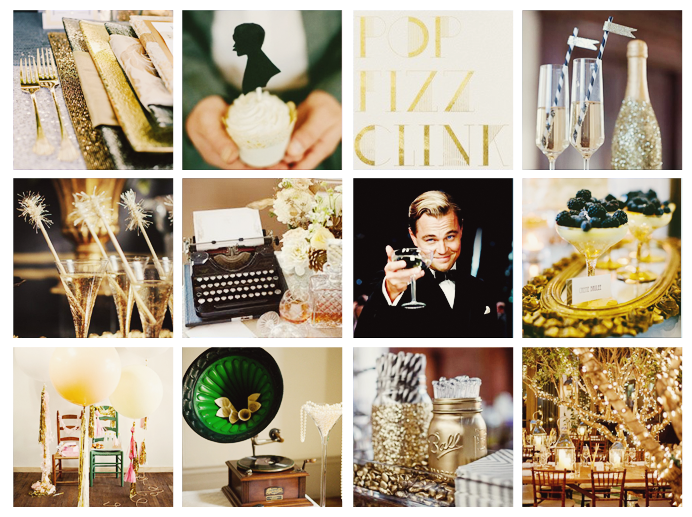 I haven't had time to watch the movie yet but I love all your glitzy Gatsby inspiration! I remember reading it in high school and liking it ... and the old Robert Redford movie was a great depiction of the tale until this one came out! It was wild and glitzy but so artsy too! And Leo can do no harm!